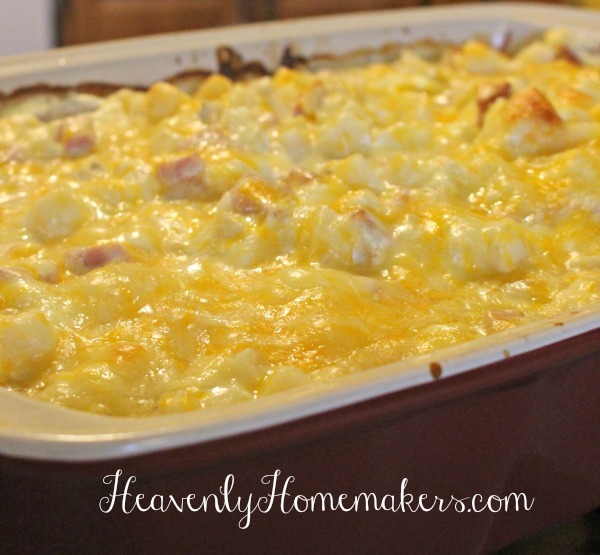 I have a secret to tell you about why I keep sharing varieties of recipes like this Simple Ham and Hashbrown Casserole. The secret? 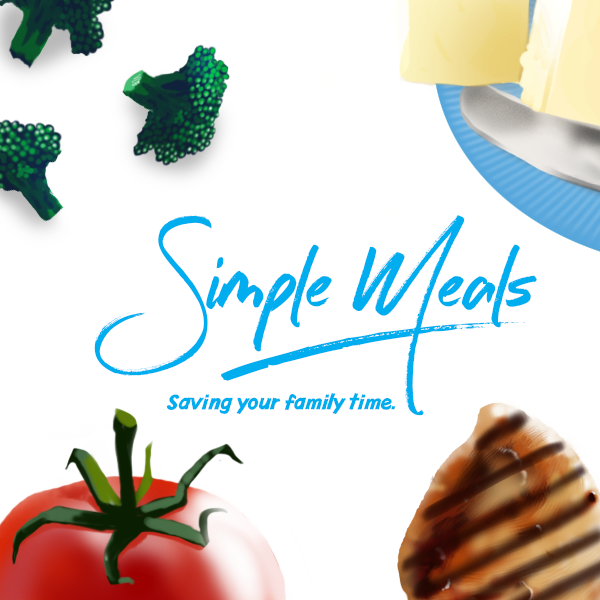 I found an awesome and healthy option for purchasing frozen hashbrowns at the store, and this discovery has my freezer stocked with a lovely convenience item that is still real food. I used to always make my own hashbrowns, which truly was wonderful and definitely saved us money. I made them during a season in my life that I was home more and had more time (or at least used more time) for making most of our food from scratch. As our kids grew older and became involved in more activities, then as God began to show us more about what He meant when He said, “Love me. Love your neighbor,” and as God has introduced more and more people into our lives to love including foster kids – well, I simply choose not to use my time making homemade hashbrowns anymore. Do I compromise and use frozen hashbrowns from the store that have lots of added ingredients in them? (Seriously, read the labels on frozen hashbrowns. What is that stuff?) Nope. I discovered Mr. Dell’s frozen hashbrowns which contains one ingredient: Potatoes. I stock my freezer with them, both the shredded and the cubed varieties. Now I can make Hashbrown Casseroles super quickly while still feeding my family real, nourishing food. 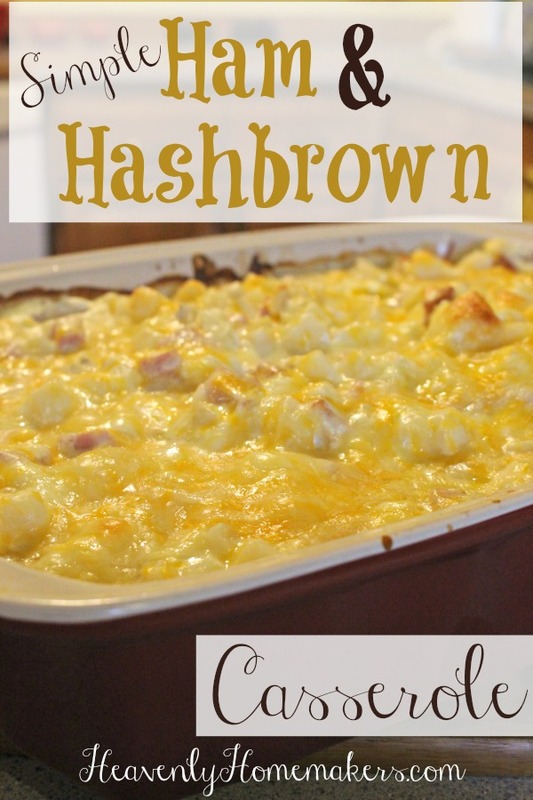 So here’s the latest, and probably our favorite of all hashbrown casseroles. I typically use leftover ham for this, which is also fast and easy. I’ve written out an oven baking option as well as a crock pot option so you can make this in whatever way that works best for you! In a large bowl, stir together ham, shredded cheese, sour cream, onion, and salt and pepper. Spread mixture into a 9x13 inch baking dish or into a large crock pot. Oven Baking: Bake uncovered in a 350° oven for 45-60 minutes or until casserole is lightly browned and bubbly. 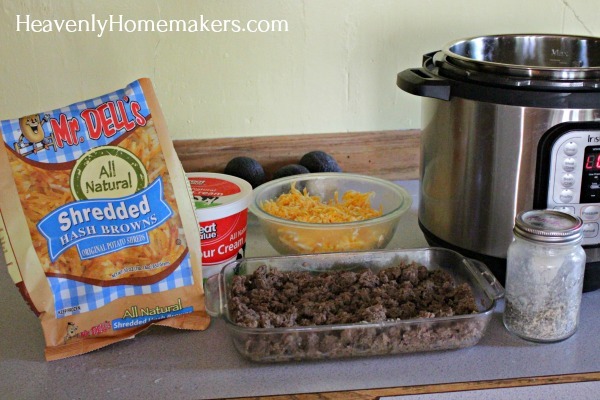 Crock Pot Method: Cook on low for 6 hours or on hi for 3 hours.